Many people experience bad dreams and nightmares. These are the types of dreams that make you feel scared, alone, or anxious while you are sleeping - and often times these feelings are still present even when you wake up. Nightmares are never fun to experience - but they are a very natural thing for us to experience. 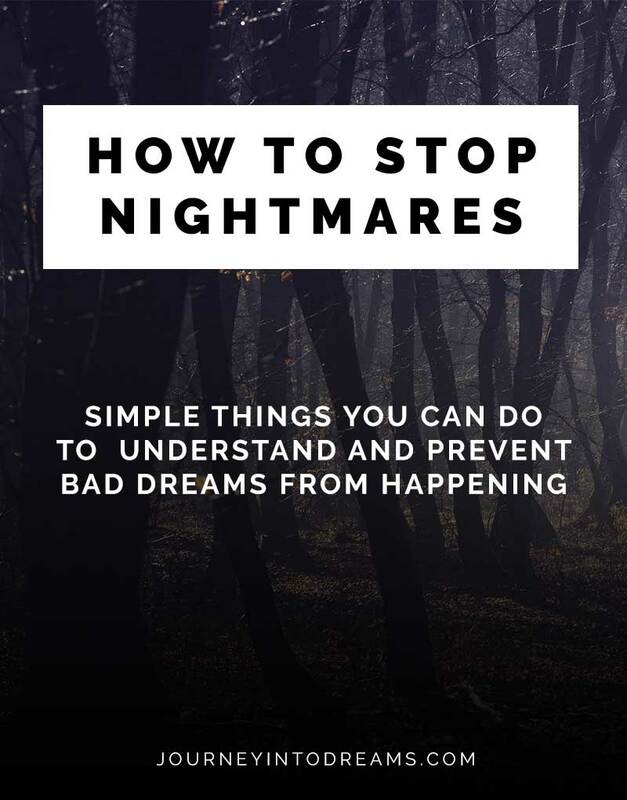 Fortunately, it is completely possible to learn how to stop nightmares. If you have been having a lot of bad dreams lately, there are many self-help types of things you can do to address nightmares when they happen. It's also possible to prevent and avoid nightmares once the bad dreams are under control. What Causes Nightmares and Bad Dreams? For most people, nightmares are a completely normal experience. It may not be a pleasant experience, but it happens to almost everyone at some point. Often times, we experience our first bad dreams as a kid. Statistically, almost everyone will have at least one nightmare by the time they reach 12 years old. Many of the bad dreams and nightmares we experience happen as a result of stress. Nightmares can actually be good for us, because they are a natural process for us to understand and release feelings of anger, fear, and anxiety. It is not healthy for a person to repress their feelings, and so nightmares are a safe way for us to better understand these feelings we may have. There are many different types of dreams. Most dreams are release dreams, and are simply a way for our conscious mind to process through all of the information and feelings we might experience throughout a typical day. Dreaming of things like death and dying or our teeth falling out are very much quite common dreams. It may not feel good when we dream of these things, but in most cases they are not anything that would actually happen in real life and do not bring us any harm. Occasionally however, dreams can have a warning message or be a precognitive dream that may predict future events happening. This is not common, but it can be possible. Fortunately, these types of dreams have some very distinct characteristics and are much easier to identify. Learning how to identify different types of dreams can often greatly help you put your fears at rest that a bad dream may come true. In the majority of cases of nightmares, a bad dream typically is a release type of dream. If you are stressed out during the day due to sudden changes or unpleasant things happening in your life, you are much more likely to have a bad dream at night. If your day was peaceful and relaxing and are currently not experiencing any stress or powerful emotions, you likely will not have nightmares too often. When nightmares are isolated incidents that only happen a handful of times a year, most of the time you are able to look at what events are happening in your life and say, of course I had nightmares - my life was full of stress and problems during that time! This is one of the reasons I keep a dream journal - it makes it very easy to notice trends and patterns. Sometimes the causes of bad dreams are not always obvious. This is where it can be very frustrating for someone who does not understand the meaning of a dream. Most nightmares happen because of feelings we are ignoring, repressing, and avoiding. We can try to ignore and push away these feelings during the day when we are busy with distractions - but at night when we are sleeping there is no way for us to avoid our own subconscious! When someone doesn't want to face their emotions or deal with problems, it can be really hard to help them stop having bad dreams. The dreams will continue until the person comes to an acceptance of their true feelings or changes the behavior that causes these feelings they don't want to acknowledge. Releasing our feelings and emotions are the #1 reason we have bad dreams, but there may be in some instances other causes, which we'll also cover here. If we have had a traumatic thing happen in our lives, it is very common to experience nightmares that are related to this trauma. It can be extremely frightening to experience a traumatic event in your life. Often times these memories of the trauma are difficult to process. When trauma is a cause for bad dreams, you may have recurring nightmares about the event happening again. You might have dreams where every detail of the accident are replayed in your mind. This is very common for those who have been in traumatic accidents or survived through acts of violence and combat. In these cases, it can be helpful to work with someone who is an experienced professional to help you process and work through recovering from traumatic events. Sometimes the source of traumatic stress in some people is not always obvious. There have been studies that suggest a person can have the same experiences of PTSD even if they don't remember any one specific event of loss or violence. Sometimes, long term exposure of minor negative daily events can add up to the same type of reaction in a person. It is also entirely possible for nightmares to have a physical cause. They can be a result of environmental exposure, foods you eat, certain medications or even illness and injury. Toxic substances, alcohol and hallucinogenic drugs can all be related to what might cause a nightmare to happen. Even certain health supplements and natural substances such as essential oils can induce vivid dreams - not all of which may be pleasant! Vitamin deficiency, particularly a B12 vitamin deficiency can also relate to a person having nightmares and bad dreams. Magnesium deficiency can also sometimes be related to not sleeping well and having pain while sleeping. Every person has different body chemistry, so what may cause one person to have vivid or scary dreams may not have an effect on another person. This can make it difficult to identify a physical cause if you are having nightmares and think the cause is related to something in the environment, food, illness or a medication. If you have a lot of recurring nightmares, you might find that these bad dreams make you feel afraid you will have more bad dreams. Unfortunately, these fears of nightmares can cause more nightmares to happen, especially since dreams are our way of processing thoughts and feelings! This is where learning how to interpret your dreams and being willing to understand and release your emotions can be very helpful to stop the cycle of bad dreams repeating! Now that we understand the types of bad dreams we might have, and some of the underlying causes, it's time for us to talk about what you can do to stop nightmares and prevent them from happening so often in the future. Important! Nightmares can be a difficult thing to work through on your own, especially when recurring or due to past traumas in your life. It is important to learn how to sort through difficult emotions in a positive and safe way. If at any point you feel overwhelmed or have feelings of self harm or harm to others, please do not hesitate to seek help. While there are a number of different ways to stop having nightmares, I've found that one of the most effective ways to do this for myself and for others I've worked with is to follow a step by step process. It may not always be easy to do all of the steps, but it really will make a powerful and positive difference! The first place to start is to try to understand what your dreams are about. It is pretty easy to learn how to interpret your dreams. Writing down the dream and then thinking about what the objects or events may symbolize can definitely help you look at this dream as a metaphor for current events or feelings in your life. Most of the time, when you look at the events in the dream as a metaphor for events in your own life, it is very easy to see a correlation. For example, if you dream you are drowning, it likely means something in your life feels overwhelming to you. If you dream of driving a car and wrecking it, you may feel like you don't have control over a situation or behavior. Using a dream dictionary like the one on our site can be helpful to look up different meanings of the things that you remembered in your dream. Be wary of using dream dictionaries that have generic and fortune-teller type of meanings like "you will be lucky in love" or "good fortune is upon you" - Those types of dream dictionaries are mostly from Victorian days of parlor fortune telling for entertainment and are not necessarily accurate! Once you have a decent idea for what the dream was about, it is time to start exploring your true feelings and emotions. This is not always a fun process for most people - especially if you are the logic/rational driven type of person like me who would rather NOT be a big soppy mess of tears! It is usually not necessarily important to relive the experience of unpleasant memories or feelings - but it is important to release these feelings. Holding onto negative memories of the past and burying our feelings deep inside is not good for anyone! Think of these memories and thoughts and feelings like an old tuna sandwich you didn't really want, but you didn't want to throw away either - so you stick it in your desk drawer. You then forget about the tuna sandwich - until weeks later when it smells horrific in your office. Our repressed feelings are exactly like this tuna sandwich. We have to throw away that sandwich eventually, and we also have to deal with our emotions and release them so that we don't keep holding onto these past feelings that don't help us in our present lives. For me, journaling and writing down whatever I'm thinking or feeling is an easy way to release my thoughts and emotions. Once it's on paper, I'm done with it and it's cleared. I feel a lot better once it is all out. I do not keep my journal pages. Often times I will burn what I write in a fire or transform that piece of paper into art - but you can also tear it up and release it outside on a windy day or use it to line your cat's litter box even. The important thing here is that you express what you feel and you consciously in your mind say "this is over, I am free from feeling these things now." If writing it all out seems difficult, there are other ways to explore your feelings. You can use music, art, or even physical exercise. If journaling is not your thing, you may also want to see Creative Alternatives to Dream Journals for some ideas for ways to work through your thoughts and feelings. Most of us are well aware of what would be good for us to have a healthy night of sleep - however actually implementing these things for a healthy bedtime routine can be a lot harder than it seems! Do you have a hard time falling asleep at night? A lot of people tend to worry a lot before bed. One way to take care of this is to write and journal it all out before you fall asleep - sometimes this can make you tired just from all that writing. Say Your Prayers: Even if you are not a spiritual or religious person, saying a prayer or positive affirmation can help your mind focus on something other than your worries. Meditate & Use Visualization: Another thing that can be helpful is to listen to a guided meditation or visualize a bubble of loving and protective energy surrounding you. This can help you feel peaceful and relaxed when you fall asleep. Getting into a routine isn't always easy, but these things really will help you start to sleep better and help you manage stress in your everyday life. Sometimes, bad dreams continue even though you may understand the feelings involved with them and why you are having the dream. Maybe you are in a particularly stressful situation you cannot change currently, or maybe you feel like there is something else causing the nightmares and you are not sure what it might be. Rule Out Medical Causes: Talking to a doctor or alternative health practitioner you trust is sometimes a good idea to rule out any possible underlying medical conditions, especially if your nightmares are in conjunction with other physical symptoms. Improve Your Nutrition: We don't always eat healthy, even though we know we are supposed to. Sometimes the foods we think that are healthy for us can sometimes even cause issues. Every BODY is different, so it's important to think about your own individual health and nutrition needs. Learning how to listen to your body's needs and nourish it with the foods that are right for you can help you have a healthy balance in life. Learn to Trust Your Intuition: Intuition is the ability to know and understand something without any reasoning or explanation. Some consider it a mystical or psychic power that only few people have - but intuition is actually something we all have - and science is finally catching up in trying to explain it. Often times our own intuition can help us understand a situation with more clarity. Reduce Your Stress & Find a Balance in Life: Often times our lives are stressful - and what for? We are always going to experience challenges in our lives here on earth, but we do not have to make it a miserable experience! Is there anything in your life that is causing you stress? What are some ways you could reduce this stress? Sometimes letting go of things which don't really make us happy can make all of the difference in how we feel in life. Finding a healthy balance between fun and responsibilities can make it possible to enjoy life to the fullest. Keep a Regular Journal: While journaling is not for everyone, most people can benefit from keeping a journal. A journal is quite simply the easiest and cheapest way to become aware of your thoughts and feelings and process them. Using journaling to process thoughts and feelings is a great way to prevent nightmares in the first place, since your subconscious will no longer have to send you cryptic messages for you to understand what you are really thinking. Learn How to Become Lucid in Dreams: Lucid dreaming is a way of becoming fully aware and conscious during dreams while sleeping. For some people lucid dreaming comes very naturally - for others it is most certainly a skill that can be developed. If you ever become aware that you are dreaming in a dream, you can often times change the dream around or even prompt yourself to wake up. Explore Science: Science is very interesting, and in some ways is able to prove pretty much everything exists and nothing exists all at the same time. From quantum physics to chemistry to biology to social science - there is much to learn and explore that may give you more information in understanding dreams. Explore Spirituality: Many people can understand what their dreams mean by studying spiritual teachings. Spirituality is often very individual for each person, but there is much we can learn by studying esoteric principles. Even if you are not a spiritual person, it can still be interesting to explore, especially if you accept spirituality as simply being a study and belief in what is unknown and mysterious in our lives. 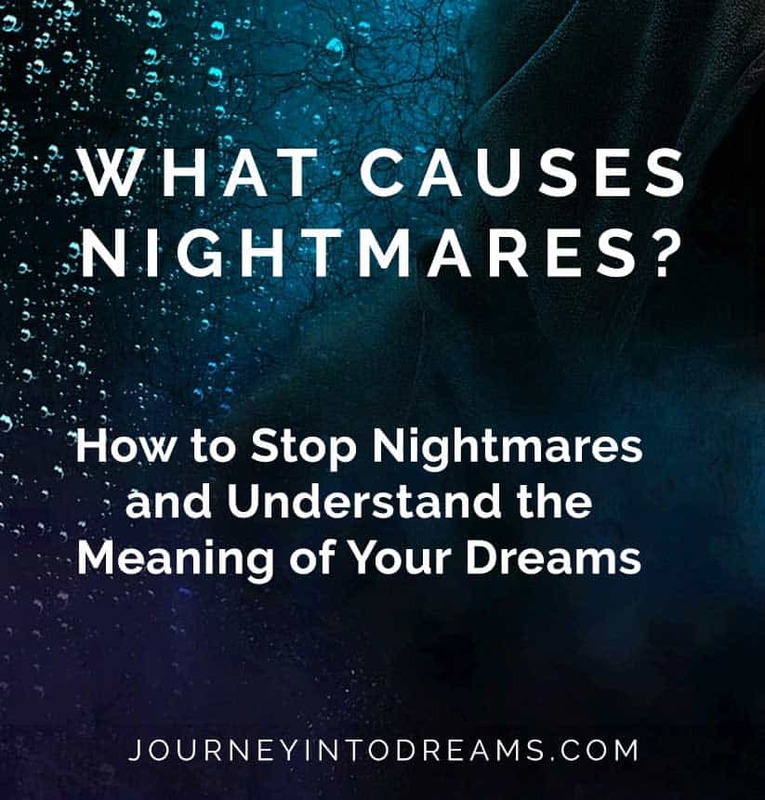 If you are having nightmares, it can be very helpful to learn how to understand what your dreams mean and take the steps for ways to stop nightmares and prevent bad dreams from happening. It's not always easy or a lot of fun, but doing so can have a very positive impact on your life! Do you have any experiences with understanding and stopping nightmares that you might like to share? Tell us about your thoughts on bad dreams and nightmares in the comments section below!